2 HP Electric Motor consumes 115 Volts/16.9 Amperes. Requires a minimum 20 Amp breaker to provides adequate electrical supply. Blade "Ramming" action is isolated and applied directly to the floor. Handle height is adjustable and vibration dampened for operator comfort. Weights are built in and easily adjustable for more floor pressure. 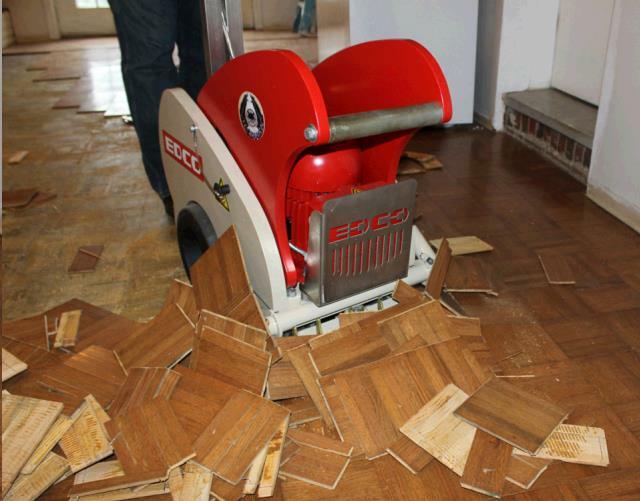 Great for removing: Commercial Carpet, Ceramic Tile, Linoleum, VCT Tile, Hardwoods/Parquet, Rubber Membrane, and more. 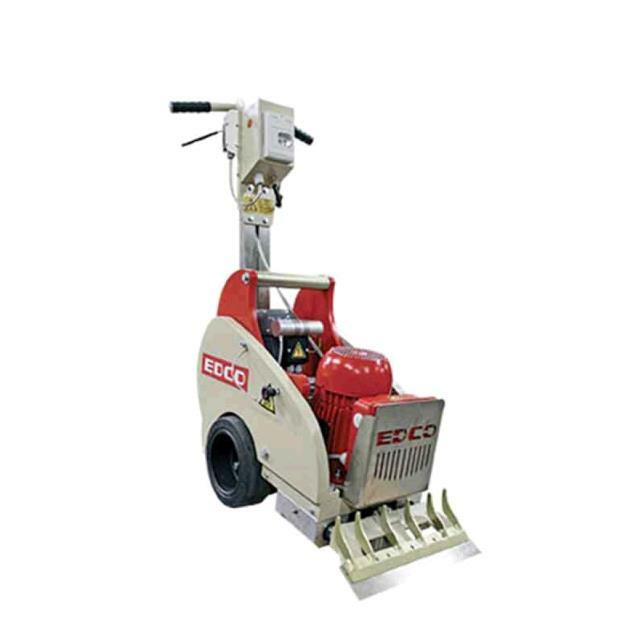 * Please call us with any questions about our tile stripper self prop 14 inch rentals in Oak Grove MO, Blue Springs MO, Independence MO, Lexington MO, Odessa MO, Independence MO and Western Missouri.